Our Charity Lunch and Auction at Sandown Park Racecourse in Esher on Wednesday 14 September is the most important fundraising event of our year. Are you and your friends ready to support the Sanctuary, by ordering your tickets for our Charity Lunch and Auction at Sandown Park Racecourse in Esher? To order tickets at just £95 per head for a complete package, please call Julia on 01483 428961, or e-mail info@racehorsesanctuary.org. Or simply contact Julia to make sure you receive your personal invitation. 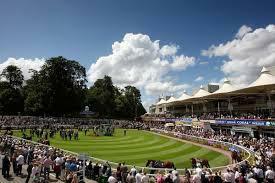 Sandown Park is one of the UK’s most iconic racecourses and you will not find a better value sporting day out. Just make sure you are there on time for the Champagne Reception, followed by charity auction and lunch in the Solario Suite with panoramic views of racing action. There with be 10th Anniversary Birthday Cake served with afternoon tea. We have some great offerings for our Charity Auction at our Sandown Raceday, including again by popular demand, a week’s holiday villa for ten people on the exclusive Caribbean holiday island of Mustique. One-week stay in a Luxury Hilltop Villa in Mustique. Sienna, a beautiful Italian-inspired villa for 10 people, is set on a hill overlooking Macaroni Beach and Rabbit Island. The entire villa oozes inspiring sophistication and elegance, and enjoys magnificent sea views from extensive terraces. Accommodation includes five bedrooms, media room, gym, swim-in cave and two swimming pools. It is fully staffed with likely availability Oct/Nov 2016 and May/June/first half July 2017. THIRTY-MINUTE helicopter experience for TWO over London from North Weald Airfield, valid weekends only between March-October 2017. Day behind the scenes with the production team of Doc Martin; meet Martin Clunes and negotiate yourself a walk on part. Four-night stay Monday to Friday in a 2-bedroomed luxury lodge at Eversleigh Lodges near Ashford in Kent. If you cannot make Sandown, but are attracted to the idea of a fantastic holiday in the Mustique villa, we will entertain sealed postal bids sent to arrive at Stilemans by Tuesday 13 September 2016. The envelope should be clearly marked SANDOWN BID and you should include your name, address and contact number. Emeebee has a fine new foster home, as does Crumpet, with three of her friends, whilst The Betchworth Kid and Mac are back. Sadly we have lost both Archie and Sprout. 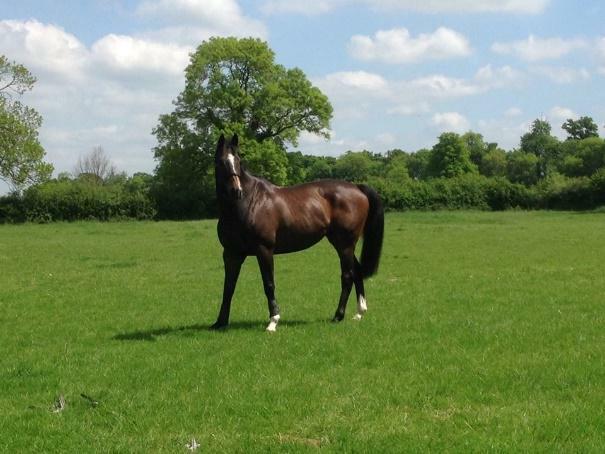 Emeebee or "B" as we call him seen here looking very well in himself, standing proud, proprietorial even, in his lush new paddock in Hertfordshire, where he is being fostered by Jackie. "B" is one very lucky horse, as Jackie is a very experienced lady, whose dedication to the horses in her care is second to none. Let’s hope that “B” takes advantage of this lucky break and settles in well in his new home. Lucky old Crumpet has now moved to Kent and joined her old mates Lady and Winnie, along with Nelson. 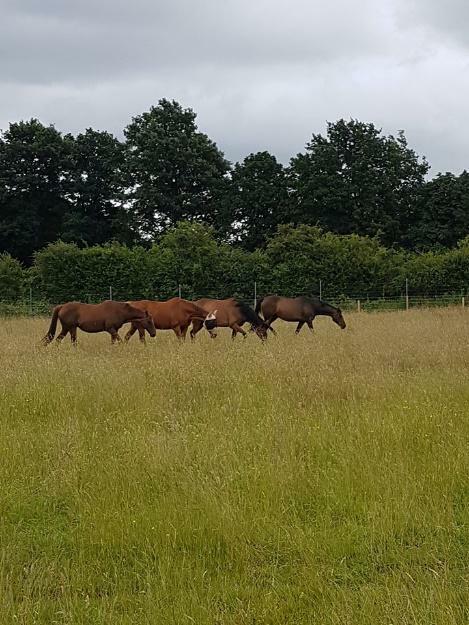 They have such a super home, where they want for nothing and are cared for meticulously by Cleo; they are four very lucky horses. 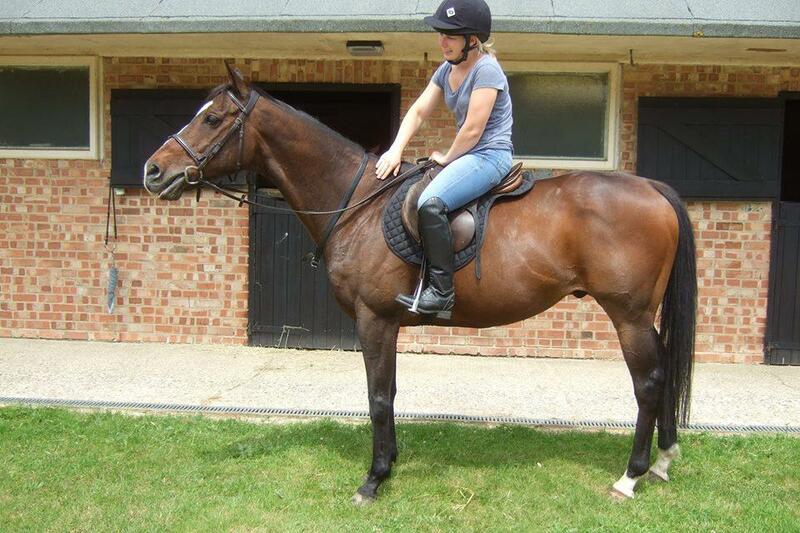 BK, aka The Betchworth Kid, is back under saddle and is seen here showing off his paces, being ridden out. He is back with us after he found a dressage trial too namby-pamby for him. 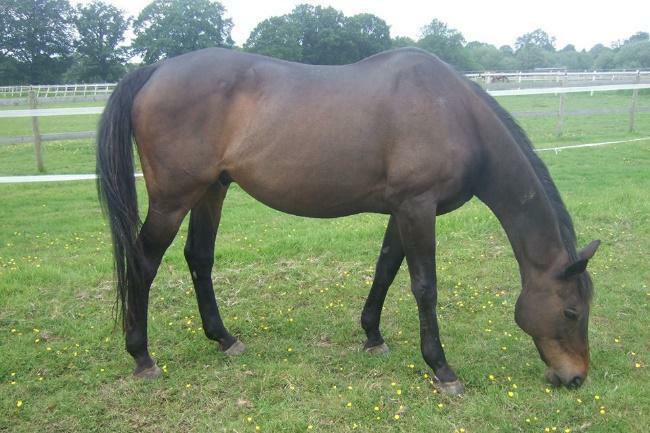 This super 11-y-o, 16hh gelding is a real character and he loves just having fun. BK suffered a leg injury some time ago, but BK is now very sound. Whilst there will be a "No Jumping" restriction along with him, he will throw himself into whatever else is asked of him, bar dressage, though you might need to sit tight. BK is a very special horse and is looking for that special keeper. Mac is also back. 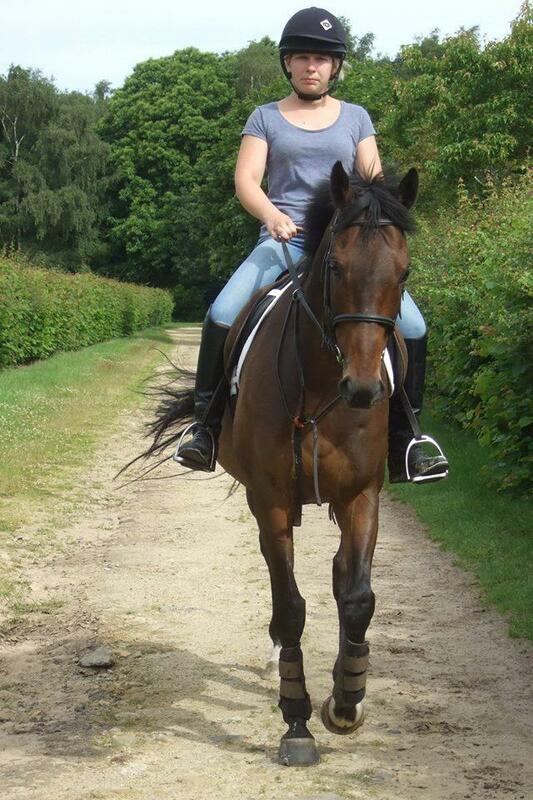 It was in July 2009 that we found Mack the Knife a super home with Debbie in Suffolk. Sadly seven and a half years down the line he has had to come back to the centre due to unfortunate family circumstances. Now 15 years old Mac, who stands approximately 16hh, is very sound, healthy and well and wants to continue the sort of happy life that he has been leading. This has included hacking on the beach and through the countryside, competing in local shows and sponsored rides, and generally being someone’s best friend. Unfortunately Mac does crib bite when stabled and due to the fact that he had a tie back operation back in his racing days he prefers the fresh air that goes with living out rather than being stabled. The desperately sad news was that former chaser Second Paige, or Sprout as he was known, has sadly had to be put to sleep due to a freak accident in his paddock in which he severely injured his spine at his new home in Wales. This wonderful horse who had given so much including a full and successful racing career, followed by a long spell teaching students at the British Racing School, before coming to us when he was found to have an enlarged heart. Sprout had a loving home with Karen and Paul and he deserved to enjoy his super retirement for a lot longer. We will truly miss the fun and games we had together with the hose pipe and his verbal contribution at feed times, but mostly we will miss his wisdom and charisma. Rest in peace dear Sprout, you owed us nothing and we owed you everything, you will never be forgotten. Before that came the very sad news that Old Archives, or Archie as he was known, had also suffered a freak fall in his paddock one May evening, in which he severely damaged his pelvis. Despite intensive veterinary treatment and strong pain killers, it was decided that at 27 years old the thought of facing six weeks being cross tied followed by box rest would not be fair, so very sadly Archie was quietly put to sleep. Archie was a huge character who kept us laughing with his antics and attitude, with several wins and places during his racing career he gave a lot of people a great deal of fun, not to mention Global Dancer his best pal who will miss him and the fun they had together. Rest in peace dear old Archie, we will never forget you. Report of Pepper Harrow presence and information about other events this summer. Thanks to glorious weather the team had a great day at Pepper Harrow point-2-point recently. 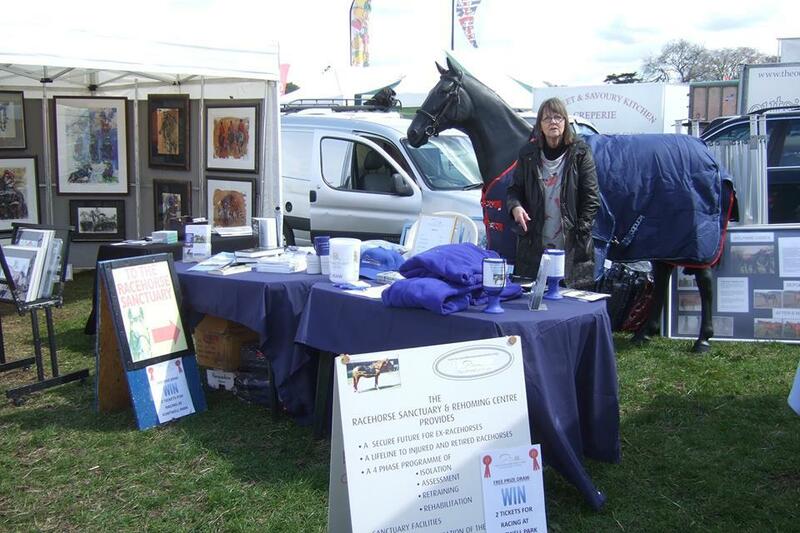 There was a great deal of interest shown in the work of the Sanctuary, with many visitors to our stand. Our thanks go to Val, Julia, Catherine and her partner Alex plus Amanda and her family for all the hard work they put into making it such a successful day; the picture is of Val manning the stand. Our thanks also go to the Surrey Union Hunt for allowing us to have a bucket collection at the exit gates. Our next major bucket collection will be at Glorious Goodwood on Saturday 30 July 2016. We need plenty of volunteers to help us maximise this opportunity. If you would like to help us on the day at the fabulous Goodwood Racecourse, you will have free entry to see the first races and would be very welcome - please call Julia on 01483 428961. If you are going to Goodwood anyway, please make sure your friends are directed to our buckets. Look out for details on our website and on Facebook for our 10th Anniversary Summer Garden Party, to be held at Cranleigh Golf Club on Saturday 6 August 2016. Racing Foundation grant and Patron David rides again. Great news that the Sanctuary has been awarded a £9,800 development grant by the Racing Foundation, which once implemented will underpin, amongst other things, expansion of our remarkably successful fostering programme. This funding will help us upgrade the office infrastructure with which Julia is coping so nobly, introduce a modern charity-friendly CRS database, which can be accessed remotely, and to update our website. Is there any volunteer out there, who has experience with Donorfy software and would like to help up? 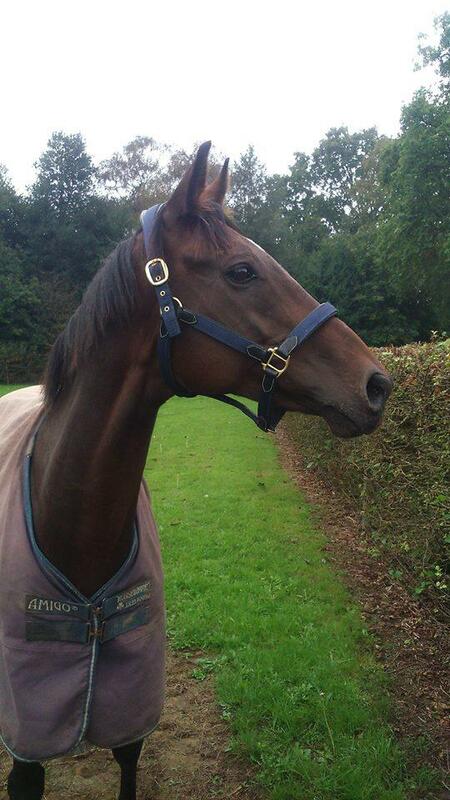 If so, do please call Julia on 01483 428961, or e-mail info@racehorsesanctuary.org. It is not too late to register to join the Prudential RideLondon Freecycle event yourself, and open your own Just Giving fundraising page, to fundraise for the horses; click on the Fundraise for us button, and follow the instructions.